Desire luminaires ship with hanging yoke, power cable and DMX cable. Choice of Black, White or Silver body color. The brightest, boldest light from an LED luminaire. The D60 fixture is the brightest variant in the Desire™ LED luminaire family. Sixty energy-saving LED emitters are combined onto each D60 fixture to provide powerful, high-intensity output. 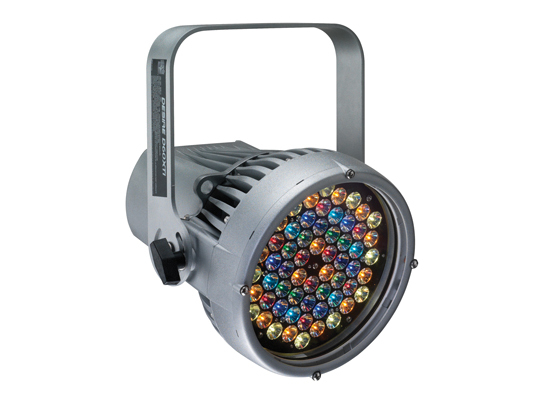 This round, PAR-shaped washlight is ideal for the stage, studio and anywhere brightness and color flexibility are required.